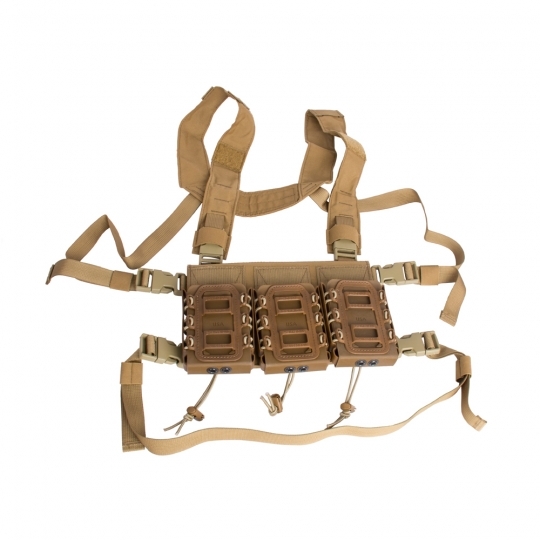 This chest rig is a low profile rig capable of adding additional magazine pouches as needed. It comes in variety of colors, including black, coyote tan, military green, wolf grey. For $35 more, you can add suspension pouch.